In PassPort a privilege is a grouping of actions on a specific resource. In this scenario two privileges are created; Modify Lair and View Lair. The modify privilege allows you to change the lair (POST/DELETE) while the view privilege only allows read access (GET). 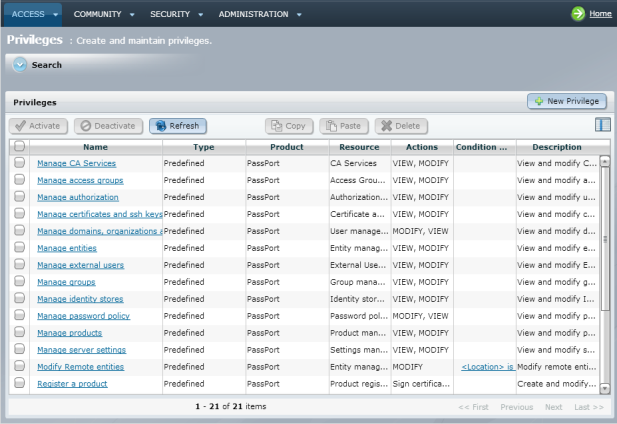 In the PassPort Administration UI, select Access > Privileges. In the New Privilege dialog enter the name Modify Lair and click Next. Click the search button next to the Resource field. 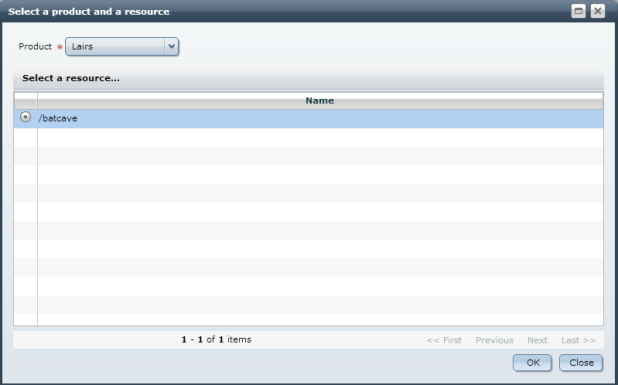 This opens the product and resource selection dialog. Select Lairs from the Product list. Select the /batcave resource and click OK. Select the DELETE and POST actions. To create the view privilege, repeat the above steps but this time enter the name View Lair and select the GET action.